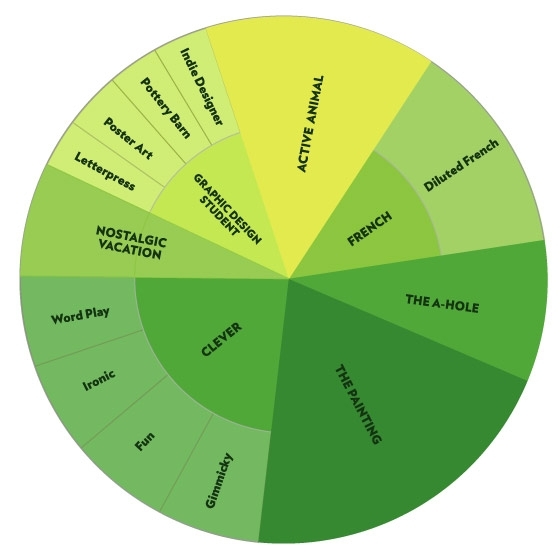 I use Ann C. Noble’s wine aroma wheel in several of my classes. Say what you will about it. Supplying people with vocabulary to accurately describe what they’re smelling and tasting is a great way to get them excited about wine. On Grub Street yesterday, a new kind of wheel popped up – one to decipher wine labels.